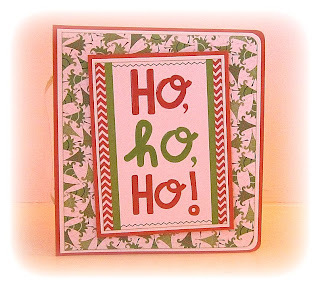 Hi everyone - this is your first stop on Craft Island's christmas blog hop. 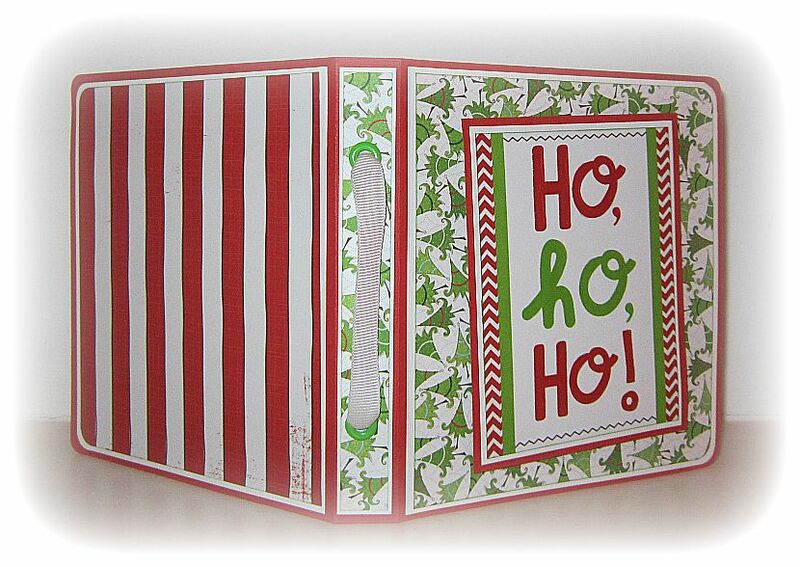 We were all given BoBunny's mistletoe collection to work with - the papers are so bright and cheery! 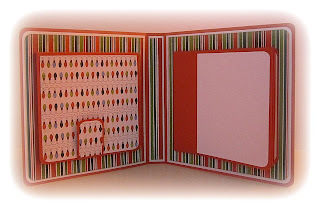 I decided to make a simple mini album with the 6x6 paper pad - it was so much fun to make and would be great to give as a gift. For the base I used a piece of bazzill cardstock measuring 10 3/4 inches by 5 1/2 inches. I scored it at 5 inches and then again at 5 3/4 inches (along the 10 3/4 inch side) to create the cover. 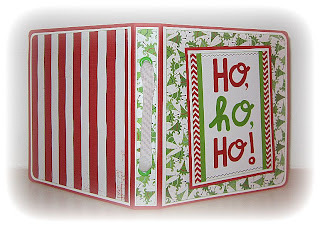 On the spine I used some eyelets and ribbon to make a handle, and then on the front I used one of the cutouts from the Santa's List 12x12 sheet and used glossy accents on the letters. 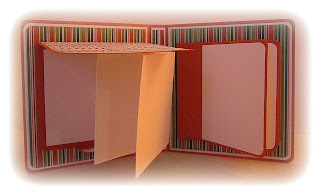 Then inside I made a little accordion pullout which has room for 7 photos. The little book is held shut with a velcro dot. Then on the other side is space again for 7 photos, or for some simple journaling. Lastly I made a cute 3x3 inch card and matching envelope. 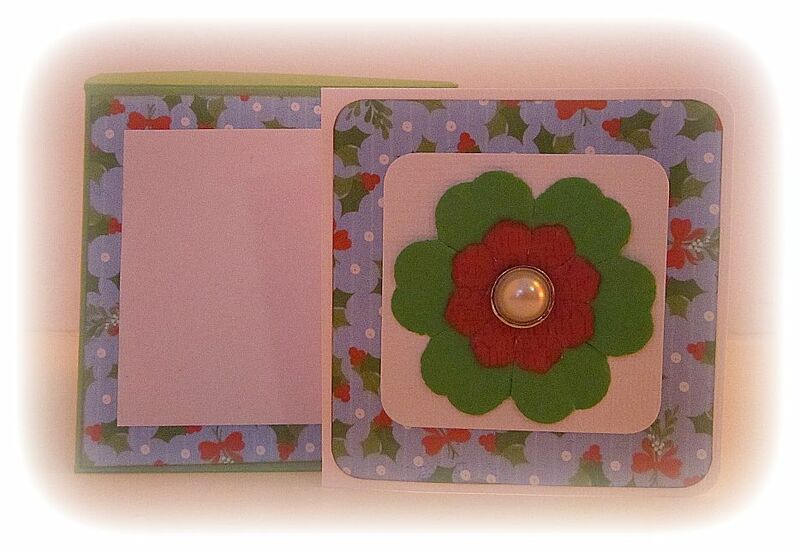 I decorated the card with some of the matching flowers from the collection. Thanks for visiting and remember to leave a comment if you want to be in with a chance of winning one of the 12x12 collection packs! 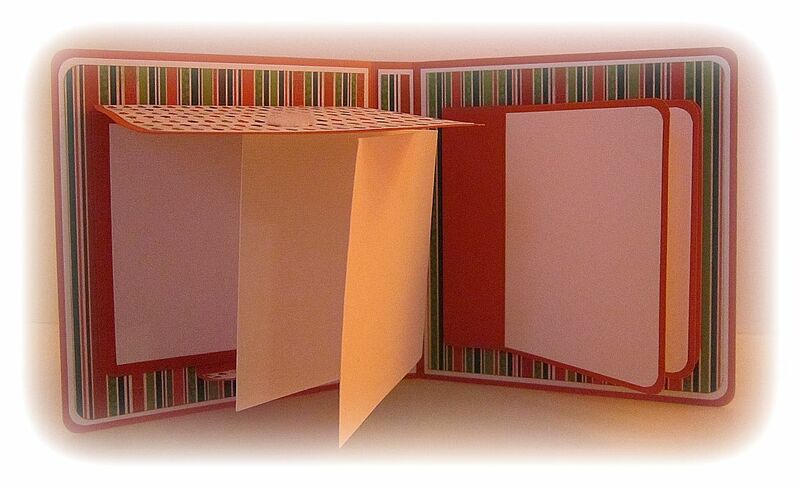 Next up is Katy's blog where she has made a gorgeous 12x12 layout. 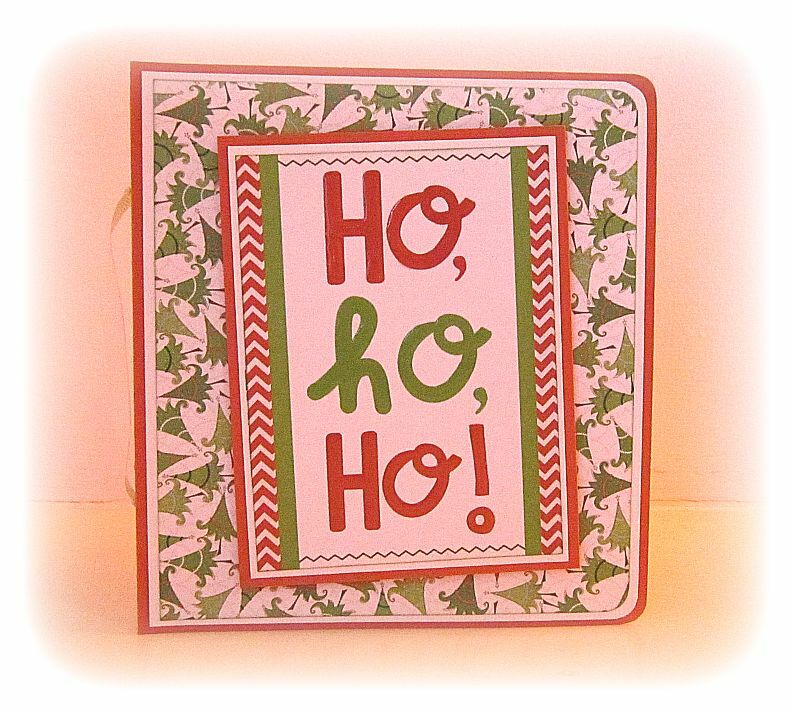 Amazing idea = so lovely - going to copy this!!!! Thanks for the inspiration. That is beautiful! (And great photos too.) Thank you for sharing. 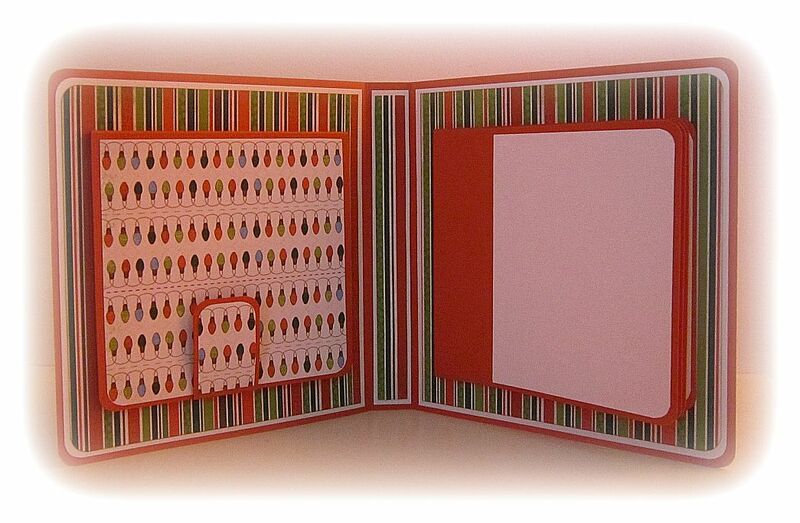 Love the mini book and the candy cane striped papers. Great idea to give as a gift. What a lovely idea! Thanks for all the pics' & info, might have a go at this one.